Microsoft PowerApps continues to gain momentum as the platform of choice for rapidly developing business applications. Every day, more customers are choosing PowerApps to modernize their business processes through employee-facing apps on web and mobile that can be delivered in days. It’s not just customers who are appreciating the value and momentum that PowerApps is delivering. PC Magazine named PowerApps editor’s choice for low-code application development, calling it “a power user’s dream” and ranking the platform ahead of competitive offerings from Salesforce and Google. The platform itself continues to mature rapidly, with a host of recent advancements that help businesses deliver more sophisticated business applications even faster. Work offline and more easily connect custom APIs. Apps built with PowerApps can now cache and save data offline to deliver faster user experiences that don’t stop working when the network signal fades. Creators can also now more easily connect to their company’s own APIs and data sources. More sophisticated forms and tables. New and improved controls now make it easier to work with tables of data as well as multi-column forms. Embed Power BI tiles. Customers can now build advanced analysis and data visualization into their apps by embedding Power BI tiles directly within PowerApps. Embed apps as rich forms in SharePoint Online. At the SharePoint summit in May, we showcased our vision how users can embed rich, custom PowerApps forms in SharePoint lists. These capabilities will start to light up for first release customers in coming weeks, and will be rolled out broadly by the end of the quarter. Embed apps in Microsoft Teams. Customers can now embed PowerApps as a tab within any Teams channel to keep action close at hand when collaborating with co-workers. New ISV Cloud Embed program. Earlier this month, Microsoft announced the ISV Cloud Embed program. 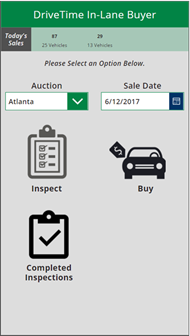 This will enable ISVs to offer customizable forms and workflows as part of their own applications using PowerApps and Microsoft Flow. Microsoft is looking for ISVs to pilot this program – please use this simple online form to get started. 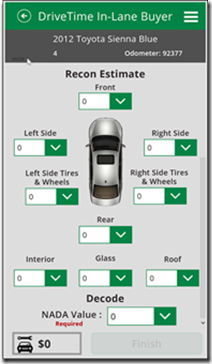 Easily configure controls. 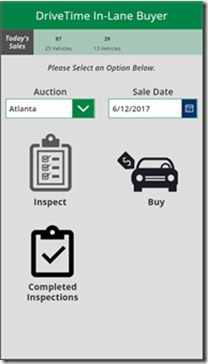 The improved properties panel in PowerApps studio makes it easier than ever to quickly change the size, color, behavior and other properties of any control in your application. Quickly navigate a complex canvas. The new screen explorer in PowerApps studio makes it easy to quickly find, select, and configure controls in even the most sophisticated applications. A powerful web authoring experience. Creating PowerApps on the web is now just as powerful as using the Windows studio, making it possible for creators on any system from Mac to older Windows versions to quickly develop web and mobile apps. Manage when you roll out updates. App authors can incrementally update the app, save their changes and test the app, without publishing the intermediate app to their end users. Easily transfer apps across environments using app packages. Beginning next week, PowerApps will support packaging, a means of easily deploying solutions across environments and tenants. Packages will include apps, flows, Common Data Service entity schema, and permission sets. System integrators and consultants can use packages to deploy apps in their customer’s environments. Review users and licenses in admin center. Tenant administrators can now download a list of users in their organization who not only are licensed to use PowerApps and Microsoft Flow but also have accessed either of those products. Just following Inspire, Microsoft's premier partner conference, we are happy to announce that more than 200 certified partners are working with customers to implement a solution using PowerApps, Microsoft Flow, and Common Data Service. We’re also seeing increasing engagement and contribution from our community of users in the PowerApps forum as well as PowerApps Community Blog. Sessions from Inspire: If you missed the conference, that doesn't mean you have to miss the content. Check out some of our favorite sessions right here. PowerApps Community Plan: We’ve made it easier than ever to get started with a new PowerApps Community Plan, which provides a free environment with full capabilities to partners and users to build skills and get started. AppSource Test Drive: Partners can now provide a friction-free experience for their customers to try out their apps by hosting them on AppSource as part of the Test Drive program. This enables customers to try out solutions without needing any licenses and provides leads of interested customers to partners for follow-up. Connector program: We now enable partners and ISVs to build connectors that allow their apps to work with PowerApps and Microsoft Flow. This enables their customers to easily automate their business processes and create their own business apps.